in the Church, the law of life for the Church has been the same. It is the great spirit, the man or woman who radiates something of the personality of the Son of Man, who draws others to follow them along the way of total commitment to God in Christ. It is going to be the same today. The first requirement in attracting new apostles is a holiness that appeals to the good and the noble of heart, because it makes friends of them, a friendship which is not merely social, but which derives from the touch of God within, draws further upwards to union and communion with God, and walks a common way with Christ and for Christ. This type of holiness must confer that special type of freedom and joy perfectly expressed only in the Latin word gaudium. Then further, this mature integrity of personality with joy of heart must appeal in its type and its impact because it is relevant to the world of today, and to the ethos of the young of today. It is a great error to think and talk of seeking ‘vocations’ in a particularist and dismembered way. What we have to seek, what the mind of Christ inevitably should move us to seek, is to raise a family of God membered out of apostles who mutually love and serve each other, some in the lay state, some in the state of priests and religious of both sexes. We sow the seeds of a common apostolic bond of holiness, truth, love and living service which is through Christ, with Christ and in Christ. Out of this relationship Christ calls for the more intimate following of Himself, and boys and girls who already love Him in a way now much more intimate and committed, readily rise up, leave their jobs, ambitions and careers, and follow after Him as apostles in the stricter sense of that word. 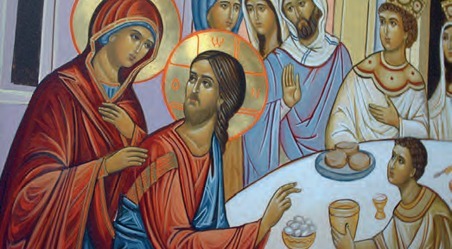 In creating and re-creating the authentic atmosphere of the living family of Christ, we see growing quite naturally the relationship of the celibate priest, re-living again the likeness of Christ as ‘alter Christus’, to the larger family of deeply spiritual mothers and fathers, to whom he is himself bound by the bond of a most fulfilling and experienced love. This love must be free from the personal bonds of the flesh. Only so can a man enter personally into the personality of another with the freedom and authority of Christ, who yet is possessed by none. Only so can the priest challenge more intimately, and love with a depth not subject to the veto of family jealousies those who, to speak in an analogy with Christ, are born through baptism ‘not out of human stock, or urge of the flesh, or will of man, but of God himself’. In this relationship we find the cadres of the early Christian Church forming again in a natural bond of mutual membering and warm affection, and the way of perfection comes to seem what it is—that which is more right and more fulfilling, and not more burdensome. Very importantly, in this relationship of a total, formed apostolate of men and women, boys and girls together, there begins to grow a love delightful, chaste and respectful which leads to the beauty of fully Catholic marriage, marriage in the fulness of the Faith and its ideals, with the vow ‘till death do us part’ fully understood and given. In working for an integrated apostolate of full truth and moral perfection, we discover perhaps for the rst time, the real life and meaning of the Church as the People of God membered each to the other. The formation of the disciple, so much more easily and fully attained through the fully Catholic family, and truly Catholic school than without these advantages, begins with the formation of mind, heart and personal love, in the full, reverently held, truth of Christ. There must be definite doctrine, and clear, coherently presented principles of the knowledge of God. The history of salvation as it consummates in Christ, must be presented as an organic whole, in which ‘all things do hold together’ in Christ’ (Col. 1:17) and in which the personal, authoritative revelation of a personal and transcendent God comes to its fulness in the Incarnation of God, personally in the Eternal Word, made esh for us men, and for our salvation. This consummation brings into history in ful lment the last, final dimension of infallibility in doctrine, moral truth and apostolic magisterium: it becomes the final and chief mark of the Church, because only through this mark of literal and genuine Divinity, is it possible to maintain the characteristics of unity, holiness, catholicity and apostolic authenticity. In the personal, the ‘existential’ order of God as loved, it is not enough to talk vaguely, without intellectual de nition, about ‘love’ and then round this o with examples of social commitment and ‘caring’. The urgent prompting of a formed apostolate is ‘seek you first the knowledge and love of that Eternal Word, and his gift of holiness (justice), and all other things will be added unto you’ ... including the social care, and the Christian commitment. For the relationship to the Living God which is religion is not contained primarily in these other things, but in an ontological relationship, i.e. something that derives from the very nature of your being, to God, as the One lain hold of in a personal, loving ful lment which lls out both our intellect, and our capacity for loving alike. This in summary means, ‘for this is Life, that they may know You, the One true God, and Jesus Christ, whom You have sent’. If this is truly done, within a context, and with a presentation which is meaningful and inspiring, even though also demanding on the esh, and on the fallen libido within each of us, then there will be true young Catholic Christians. There will also be beautiful marriages, many conversions from unbelief, or fuller conversion to its plenitude, and vocations to the priesthood and the religious state in abundance. 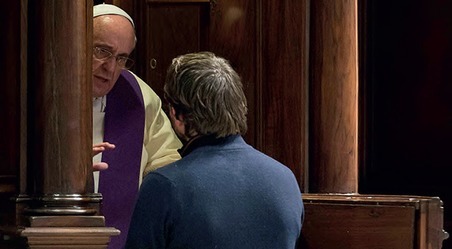 Pastoral experience and the teaching of vocations forces the writer to say that the formation of vocation is also the conveying of an infection. It is an infectious joy in Christ which best summons and convinces, and you must be able to say ‘if I had my time over again, I would make the same choice again, only with less hesitation: I cannot be so sure the good Lord would say the same for his part, about me’. Vocations in the West have fallen away in a direct proportion to the degree of deformation of Christ and the image of his Church. They have not fallen away in those poorer, ‘undeveloped’ countries which have rejected the practical atheism and decadence of the West. It is wrong to think only of a ‘decline in vocations’. There is first of all a decline of truly formed young Christians, there is the non-formation of friends of Christ. The decline in vocations, and the falling away from the practice of young adults in our schools, now ranging upwards to 90 per cent in many cases, is an aspect of one and the same phenomenon. They have asked for an egg and been given a scorpion: the youth of God are not being fed the Bread of Life. Where the Faith is truly taught, taught moreover with the ability to justify it, defend it and live it, there is no lack of vocations either to the full, demanding love of faithful Christian marriage or to the priesthood and the religious state. There is in fact, in the noblest spirits among modern youth, a new great stirring of religious fire and revival. With the clear eyes of good young life, these boys and girls begin to spurn the barrage of words without meaning, and see quite clearly the nakedness of ‘the emperor’s new clothes’. They revolt too against the amorality of sensuality without controlled, spiritual love which soaks the society in which they live. This great spiritual potential is not being widely or adequately tapped because it is not being properly taught or properly inspired. Catastrophe will now probably have to be faced in the Church throughout the Western world, for it seems too late to avoid it. Whether it can be avoided at the last minute, or whether we have to live through the persecution and emerge again, salvation will not come simply by praying Christ to ‘still the storm and the wind’. The Church is an incarnational economy, and her people and priesthood have to live, act, do and go to cruci xion. The Church will be saved when the people are rallied and led: the legend of Peter fleeing from Rome, and meeting Christ entering the gate, carrying the Cross, and asking ‘Quo Vadis Domine?’ ‘Lord, where are you going?’ . . . to be told ‘into Rome, to be crucified again for you’ has a relevance to every bishop and seminary rector, not to mention even every parish priest, at the present time. There is no waiting for Godot. We are called to live the life of Christ, and if it end on the Cross, we trust the Father to raise us, and the Church again, in the likeness of Christ in His resurrection: that is the only thing we can, and must, passively leave to God! In the provision of proper training and encouragement for the boy from a home or district which is culturally ‘working class’ there is reason to worry. The old type of junior seminary had to go, but in the richer South of England at least, no provision at all is being made in some areas, and inadequate provision in others. The personal and family psychology of working and middle class youth differ very greatly. The middle-classes are not street or district minded in their social contacts. They live at the end of a telephone, are well provided with cheap transport, and draw their friends from over a wide area. Their homes are just cosy dormitories in the winter, and personal castles with pleasant gardens for relaxation in the summer. They are also a highly mobile group. In the upper and middle middle-class parish, turnover of parishioners, from the writer’s own experience, is nearly 20 per cent a year. The working class family – and these are cultural terms, not financial brackets – is more stable residentially, and above all the young are much more street, district and school conscious in their social contacts, with the school very much a minor, not a major element in the package. The working class boy or girl is ‘gang’ conscious, socially a member of a group. The working class youngster is less likely to be a loner, and unless he conforms socially and morally to the mores of the group in which he moves, then he will become a social outcast. The price of conformity is often, indeed mostly, spiritual lapsation and moral promiscuity. Refusal to conform, even if loneliness is accepted, can be met by physical bullying from the local social group. This I know from personal pastoral experience. In my opinion, this subculture of the local ‘gang’ is a major reason for the almost total lapsation of working class youngsters in many parishes. Nothing is being done to examine this problem, let alone meet it. Again, the middle-classes tend to be culturally ‘white collar’, professional or academic types. Even among the less gifted most of them do not make their nal career decisions until 18 years of age. They remain psychologically ‘open’, and so they fit into existing senior seminary categories if they apply at 18 plus. The working class boy, even when highly intelligent, is craft or production minded, and he is still expected by his parents to have made up his mind by the end of his 16th year. He may leave school at 16, but even if he stays on, he is psychologically committed earlier in his training, his friendships, his social habits and his datings. We must find some way, some sort of grouping, in which boys and girls can meet and live full Catholic Christian standards if they will. Such groups will allow good youngsters mutually to encourage and to hearten each other. There must be some form of junior college provision for working class boys in particular from 16 years of age. Most of their parents will not allow them to change course and ‘waste’ their training or their prospects after that age, even if the boy himself is willing. One possible way is an initiative the editor advocated years ago when teaching ‘late vocations’, which means mostly young men of 18 to 24 with inadequate English. It should be possible to form very useful, fully viable units of some twenty-five to forty students, some of whom would go out to work during the day, and study part time in the evenings in residential colleges of the sort in which this writer lived and taught for twelve years. Such students could be ‘upgraded’ to full time studies when they, and you, were mutually sure about things. Other men could come in on a full time, tutorial course basis. Another possibility is the residential House attached to a good Catholic school which o ers a wide ranging education. This can only work if the school is vividly and consciously Catholic. Likewise, it requires in the residential chaplain deep and mature spirituality, a high intelligence, and the ability to form the mind and heart of youth in spiritual life. The young are not going to be attracted by a succession of impulsive gimmicks, nor by the devaluation of the doctrine and the spiritual life of the Church. Give them the full vision of the majesty of Christ, King of all wisdom and truth in creation, together with the full, demanding heritage of the ascetic and spiritual life of the Christian man, and you will be surprised at the readiness with which they come: ‘everyone who belongs to truth, will listen to my voice’. This is an edited version of the Editorial for the July/August 1974 issue of Faith Magazine.